Junk car hauling? Long distance towing? Road Assistance? If you live in the Indianapolis area or any of the surrounding communities you’ll always have a towing service to help you out or bail you out if you’re stuck on the side of the road. Steves Towing Service can handle all your towing needs whether it’s for commercial towing or private vehicles. For over 46 years, we’ve been towing specialists in almost every capacity. Our services include RV towing, long distance towing, motorcycle towing, and flatbed towing. Got a junk car you need to get hauled? Not a problem. We’ll remove it for free as long as you have the title. No need to worry about scratches or damage to your vehicle with us. 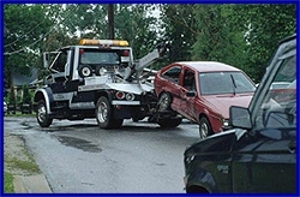 We’re professional experienced towing drivers who will take excellent care of your vehicle. Our heavy equipment towing services include scissor lifts and fork lifts. We can easily handle towing equipment up to 13, 000 lbs. Got a boat? Give us a call. Simply put, we’re the only towing professionals you’ll ever need. Call us today for quick professional towing. We offer fast roadside assistance and will get you back on the road in no time. Call us today at (317) 782-5957. We look forward to hearing from you. Copyright © 2018 stevestowinginc.org All rights reserved.